The tiny voice is currently telling the North Korean leader that he is acting like a psychotic person and needs to stop. 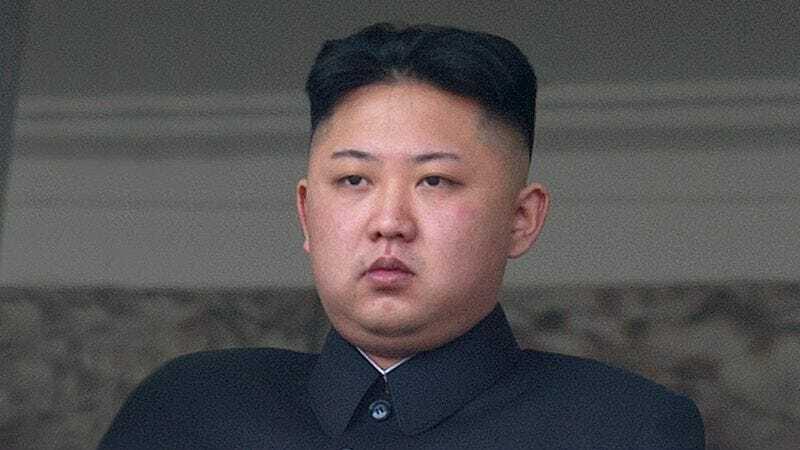 PYONGYANG—While performing his duties as Supreme Leader of North Korea Tuesday, Kim Jong-un reportedly heard a small voice in the back of his mind telling him that his actions over the last six months have been very strange and wrong. Sources confirmed that the tiny voice, which spoke to Kim at various points throughout the day, quietly suggested that the four-star military general and Worker Party’s secretary is a weird person with out-of-whack priorities who acts in a way that makes little sense to anyone. According to sources, the faintly perceptible voice located in the recesses of Kim’s mind continued communicating with the dictator during the presentation of a propaganda film depicting the nuclear annihilation of the United States’ Eastern Seaboard. The soft whisper told the North Korean leader that the film was not only strange-looking because it was clearly rendered from a video game, but also filled with factual inaccuracies. The voice went on to note that when Kim Jong-un endorsed the video and shared it with millions of people all over the world, it made him seem like he didn’t know what was going on and that something was deeply wrong with him psychologically. The voice then openly asked the dictator whether any of this was registering at all. At this point, sources reported, the small voice was suddenly cut off by a second, deeper voice telling the North Korean leader that he is not only very strong and powerful, but also very likable and popular and that he should not listen to any voice that tells him otherwise. A third voice sounding vaguely like his deceased father told Kim it was “extremely impressed and proud” with the way he was acting. That was reportedly followed by a fourth and even stronger voice informing the military commander that he is the leader of the most powerful country and military in all of the world and had better act like it. Sources also said that, based upon the way he was slightly moving his eyes back and forth and up and down, the voices were mostly likely talking to Kim at the exact same time. At press time, the Dear Leader was enjoying a 12-course meal, and reportedly had an easy time shutting out the voices of 15 million starving North Koreans who were crying out in agony and despair.